Just picked up a sweet used Axis MM90. 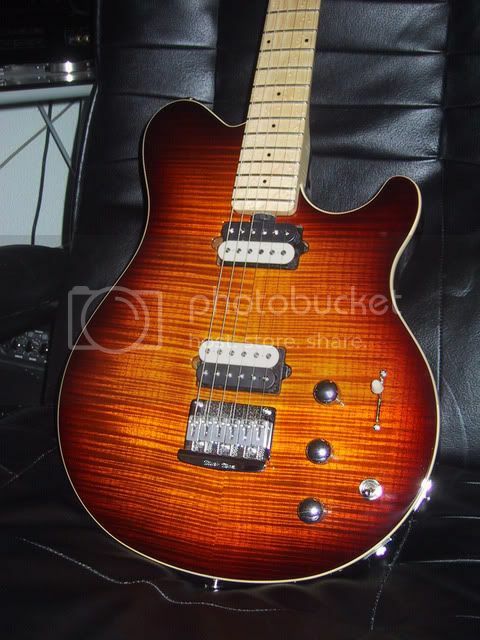 I am considering leaving the bridge P90...would a neck bucker have enough crunch? DiMarzio makes a P90 shaped version of a few of their buckers...definitely not looking to route the body! Last edited by wesman11483; 11-06-2018 at 11:03 AM. Do a search for Jamie Humprhies- he has a few videos with his Axis Super Sport, featuring an MM90 in the neck and Dimarzio DLX Plus in the bridge. I haven’t tried to fit a P90 sized HB into the MM90 rout. I’ve done this swap with other P90 loaded guitars, and it fit with no additional routing. Take measurements. If I had to make a recommendation, I’d get a set of DiMarzio DLX’s. Plenty of crunch, and I’ve heard them do everything from cleans to metal levels of distortion with ease. From the way I remember it the MM90 is not exactly the same dimensions as a traditional P-90. They are slightly different. The main issue is depth. Got an insane deal on the dp209 - thanks Reverb...$40 - so taking the guitar to my local tech tomorrow. And yes...I will be posting pics. Last edited by wesman11483; 11-18-2018 at 01:44 PM.